If you seek a superior custom home builder in the Kalamazoo area, look no further. 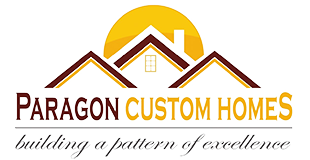 The Paragon team boasts over 50 years combined experience in crafting exquisite custom homes, as well as creative basement finishing and large-scale remodeling jobs. Paragon utilizes only quality materials and well-qualified, talented tradesmen for all of their projects. They take pride in the quality of the finished product. Build your dream home on a Paragon-owned lot, or on the property of your choosing! The quality of a Paragon Custom Home project is unparalleled. In contrast to many large-scale custom home builders, Paragon is committed to personally overseeing their projects from inception to completion. Their unique hands-on approach, direct client communication and dedication ensures your project will be done carefully and skillfully-presenting you with a home you can be proud of for many years to come. An unfinished basement provides an excellent opportunity for you to further personalize your Kalamazoo home, and create that unique space you desire-such as an additional family room, game room, or even a theater room. Visit our photo gallery in the Basement Finishing tab for some inspiration, and consider the limitless possibilities for your basement remodeling project. "Our approach as we build each custom home is to take the time to listen to and assess the customers needs, carefully craft them a beautiful, high quality home, and then take pride in the finished product. Our philosophy is that if we treat each custom project as if it were our own personal home, we will always ensure our customers 100% satisfaction. This is what drives us every day to do what we do".